When German luxury automaker Mercedes-Benz first announced it will produce a luxurious pickup truck, no one actually believed. 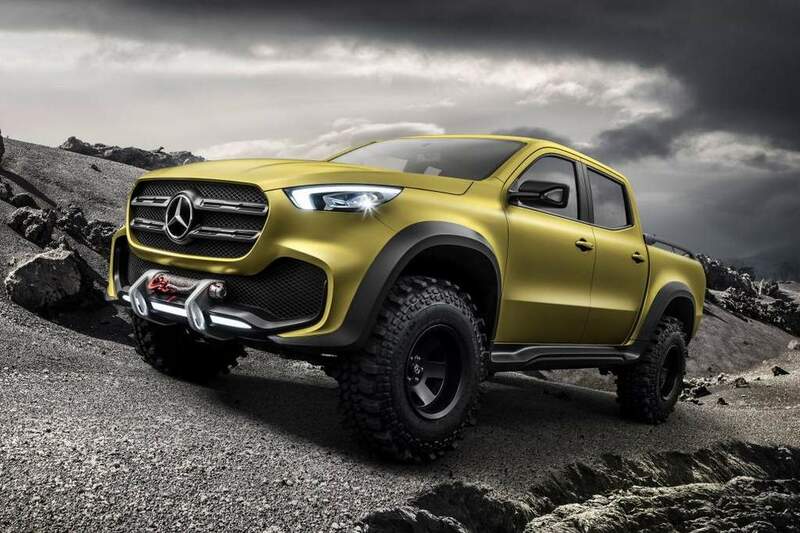 But, the X-Class pickup truck is very much real and it has been already emerged in its concept form. 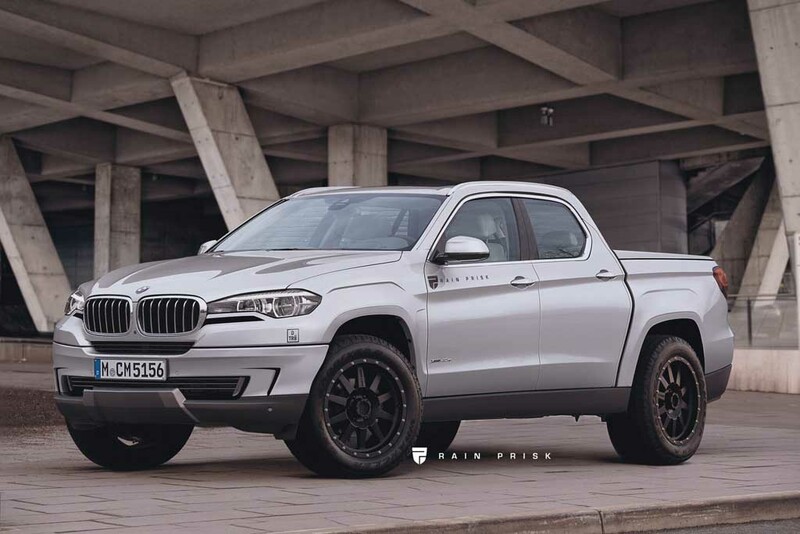 Now, a rendered image of a BMW pickup truck has surfaced online, which could be a perfect competitor of the Mercedes-Benz X-Class. The rendered image shows the pickup truck in a very muscular look. The signature BMW kidney grille with vertical slat and chrome garnishing is visible. The sleek headlamps meet the front grille and they sport dual beam LED corona ring unit and integrated LED daytime running light. The front bumper looks very muscular and it gets a skid plate as well, clearly emphasizing on the off-roading capability of the pickup truck. The BMW pickup truck has been imagined in a four-door cab configuration. It comes designed similar in line with the Bavarian automobile giant’s X series SUVs. The sharp character lines, chrome finished door handles, chrome trim around glass area, wide and meaty tyre wrapped around the large and bold black alloy wheels portray a very masculine character of the pickup truck. The wheel arches get a squarish appearance. The BMW pickup will get a practical payload area with large amount of storage capability for sure. The taillights are expected to come wearing LED units, and there could be a muscular rear bumper as well. The Mercedes-Benz X-Class is coming without any direct competition. If it proves to be successful, then the BMW pickup truck could be a potential challenger for the Mercedes vehicle. BMW is yet to make any announcement regarding its plan to make a pickup truck. But, as the company is exploring segments previously untapped, the pickup truck could be a very practical option for the brand to invest. 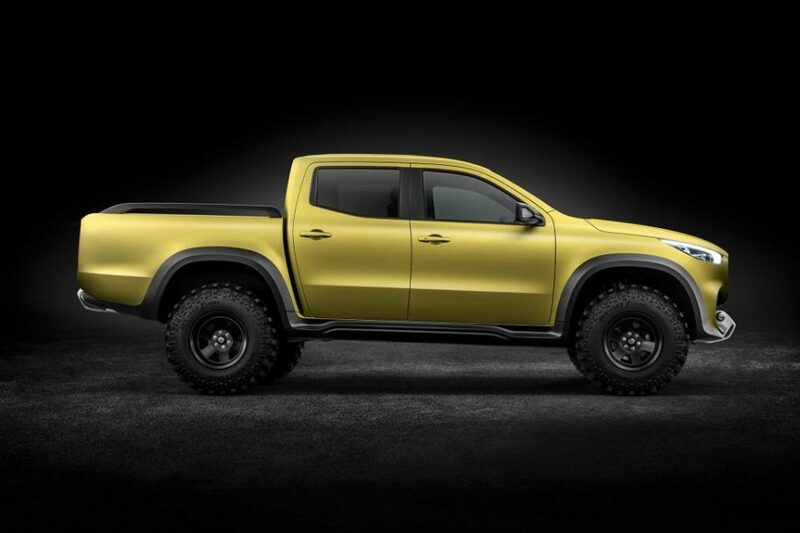 The Mercedes pickup will come based around the Nissan Navara. The BMW pickup on the other hand would come underpinned by an in-house platform, given the brand considers such a product for production.